We honour the aboriginal people, custodians of this sacred land and their ancestors – Anangu Pitjanttjatara people of Uluru; Luritja, Ulpinyali and Lilla people from Central Australian Desert; Arrernte people from the Larrapinta trail and Mparntw regions. Sweet Earth Retreat offers an invitation to enter into sacredness, within a group committed to inner transformation. Through attunement to the spirit of the land we find an opportunity for deep healing and reconnection with the many aspects of ourselves – body, mind and spirit. Australia’s red heart holds the power to heal and reconnect us on a deep soul level; many of us have lost this connection in the midst of busy 21st century life. By consciously entering the stillness and silence of the desert our hearts sigh; deep peace enfolds us and magic happens. To join an unforgettable retreat in Australia’s heartland, for those who seek to deepen their inner spiritual experience. Our program is flexible and tailored to the individual and group needs. There will be plenty of time to reflect, breathe deeply, and absorb the peace of the desert. You are invited to release the past and courageously enter into the heart and take the next step in your healing process. We will spend several days in each location walking reverently and communing with nature at ancient sacred sites. Through inner and outer silence, personal insights emerge, helping us to find the balance between our worldly and spiritual selves. We work actively with various psychological processes assisting the release of emotional issues and outworn beliefs and limitations. This may involve intuitive movement and listening to the body, catharsis, chanting, awakening Shiva/Shakti within supported by spiritual healing. In this way, layers of our ego can be removed safely and the door to self love, transformation and deeper soul contact opens. Some experience of the spiritual life and spiritual discipline; coupled with active group participation would be useful. Dynamic group work can open up spaces and connections between people not previously experienced even with those people you previously considered closest to you. When a person is skilfully and sensitively coached to consciously access and process unhelpful or outmoded parts of self that are triggered in a relationship or group context, transformation can happen. When a group of heart focused people bear witness to that person’s inner processes, truths and vulnerability, compassion can fill the space and thus deep bonding arises. One can feel completely embraced, accepted and supported which can in turn lead to deep healing, confidence and resilience of self. We stand at a crossroads. The earth and humanity are in great need. Our hearts call us to work together to overcome separation, build tolerance, connection with heart, and create a better, more united world. The earth needs us to become vehicles of light; to stand for hope and work compassionately from the heart, for the good of all. During this retreat we will hold three ceremonial Earth Healing Services in the profound landscape of Tjoritja, Watarrka and Kata Tjuta. Each ceremony involves invocation of the custodians of the land, song, music, meditation, connection to ancient songlines, drumming and prayers. 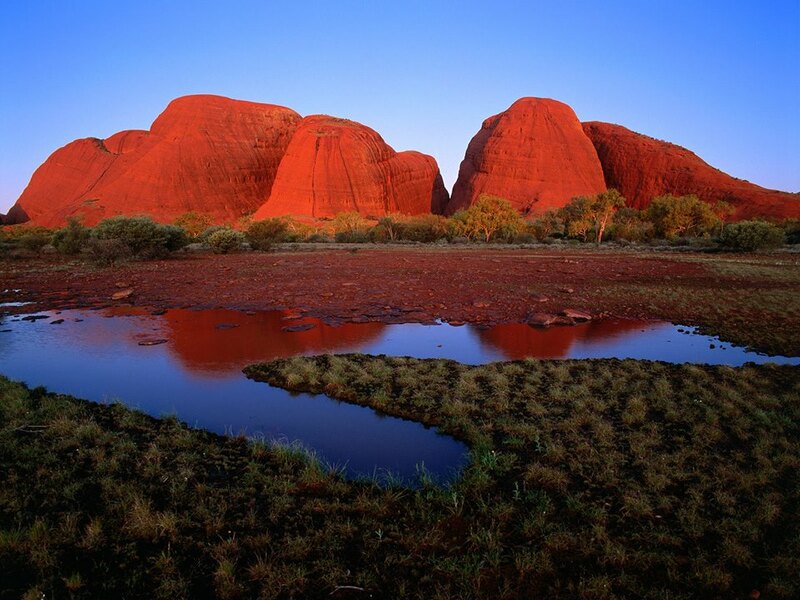 Visits to Uluru at sunset & sunrise; Base Walk around the Rock; Visit Anangu Cultural Centre; Kantju & Mutitjulu Waterholes; Earth healing at Kata Tjuta; Valley of the Winds & Walpa Gorge – sacred men’s women’s business. 5 night retreat completes at Yalara on 17th August. Fly home from Ayres Rock airport on 18th August or continue on . .
Mereenie loop road (weather and road conditions permitting) through aboriginal land to the West McDonnell’s – Ormiston Gorge, Serpentine Gorge, Simpson’s Gap. Our Retreat completes at Simpson’s Gap and then we travel through to The Alice and stay overnight there, before flying home from Alice Springs on the 24th August. This cost includes transportation, car hire and fuel., but not accommodation and flights to and from Central Australia. Our complete Itinerary is available on request. Chandra works with the living light of Spirit to support your powerful, inner transformation leading to stronger soul contact. We utilize the depth of our extensive experience in psychology, astrology, group dynamics and spiritual healing. Our approach is intuitive and alchemical; sometimes challenging and always supportive; creative and joyful. Chandra Easton is a practitioner of the heart with a lifetimes experience as a traditional and esoteric astrologer, lightworker, community educator, author, songwriter, disability advocate, mother, grandmother with many years of experience as a workshop facilitator. She loves to inspire, support and empower others to live in Light. Namita Trensky has worked as a psychologist and spiritual counsellor for 20 years i n individual and group therapy where she’s assisted people to embrace change and find the light within. Using such approaches and techniques as existential psychotherapy, meditation, mindfulness, group processes and core belief work she has supported people to find the psychological freedom of self-acceptance and self-love. Chandra and Namita began their work together in 1997. Esoteric Writings from many sacred sites Chandra has visited throughout the world over the last 15 years.